Constituents: tannin (up to 10% in the leaf, consisting mainly of gallotannins, also condensed catechins and proanthocyanidins), saponins, choline, resins, flavonoids. When distilled and combined with alcohol, the aromatic oil extracted from the bark of the witch hazel shrub makes a soothing and mildly astringent lotion. 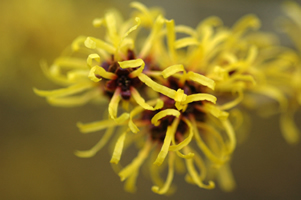 Witch hazel may be the most familiar of all home herbal medicines being mild and gentle in action. It is a general and all purpose first aid remedy for abrasions, burns, scalds, insect bites and other inflammatory conditions of the skin. Witch hazel also forms the base of varicose vein treatments. As an acne fighter witch hazel reduces the swelling of minor pimples and blemishes. Witch hazel is an excellent astringent, toning facial cleanser, used to decrease bags under eyes, skin puffiness, and to reduce pore size. It can be used for all skin types, oily to dry and is a valuable ingredient in natural skin care formulations and anti-aging products. Preparation Methods & Dosage :External applications. Use as a skin wash, facial astringent, or in a compress. Freeze in a Styrofoam cup to treat insect bites in summer. 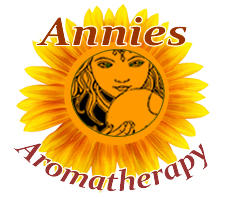 For puffy eyes use a compress of witch hazel on closed eyes for 15 minutes while relaxing. 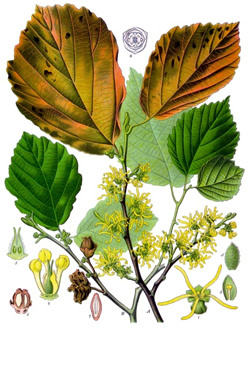 Witch Hazel Side Effects: Many of the older herbals, including Grieve, (AMH), recommend an infusion of witch hazel for internal bleeding of the stomach and bowels. Witch hazel extracts and teas are found today at many health food stores. James Duke 1 warns against internal use. Parts used: The extract is made from the twigs, which are cut in the winter when the shrub is dormant. The leaves can be harvested when full grown and dried in a warm place for use in home remedies. Leaves:Broadly oval, with wavy, toothed margins. Flowering Season:Witch hazel reverses the usual order by blooming in the autumn after it loses its leaves. Distribution and habitat:From Main to Florida in the East, west into the Plains. Found in rich woods and along streams. The witch comes from "wyche" and from the old Anglo-Saxon word meaning bend. Native Americans used the shrub for the same kinds of skin afflictions which make it as common item in today's medicine cabinets as it was in our grandmothers time. The pliable branches of witch hazel were a favorite among dowsers. The flowers sometimes emerge on Halloween, another witchey connection. "Internal consumption can cause nausea and vomiting, and the presence, albeit minimal of safrole and contribute to liver damage. "